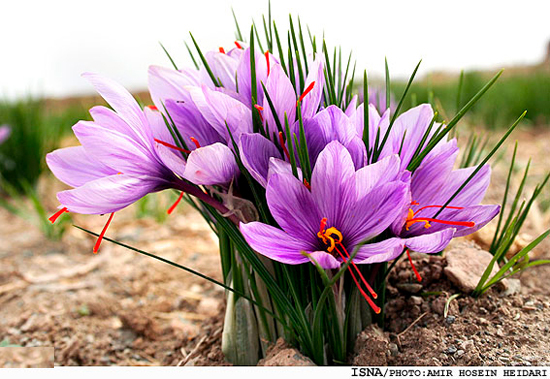 The dried stigmas and the top of the style of the Saffron Crocus are used in place of Safflower (Honghua), but they have a stronger action. Saffron (Fanhonghua) has as its properties and taste sweet and cold. It enters the heart and liver channels and invigorates the blood, removes stagnation and clears channels, and also cools the blood and releases toxins. Saffron (Fanhonghua) is used to treat cases with indications such as high fever, maculopapule and febrile disease in which pathogenic heat has entered the blood. The recommended dosage is 1.5-3 g.